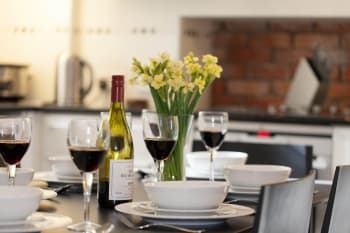 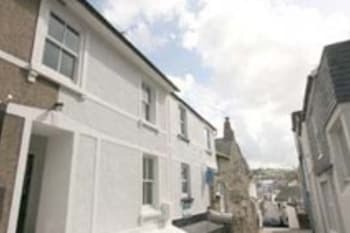 Serendipity cottage is situated in the heart of Downalong, St Ives, just a few minutes from the harbour and beaches with free parking and complementary Wi-Fi. 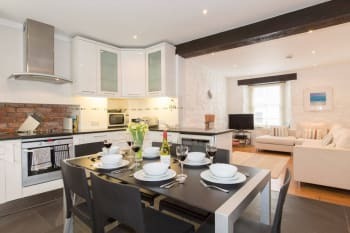 It offers 3 luxurious bedrooms, 2 bathrooms/shower rooms, open plan lounge dining/ kitchen. 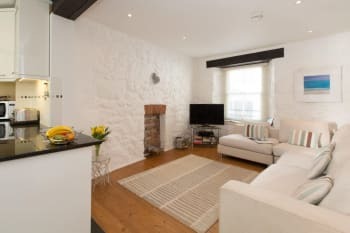 There is an enclosed private rear courtyard garden, ideal for relaxing on summer evenings and with access to the harbour and beaches. 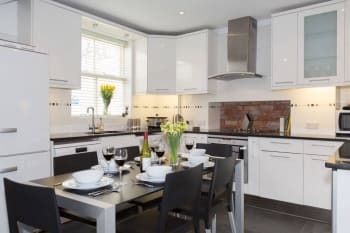 Serendipity self-catering cottage has the added benefit of one free parking space and complimentary Wi-Fi internet access. 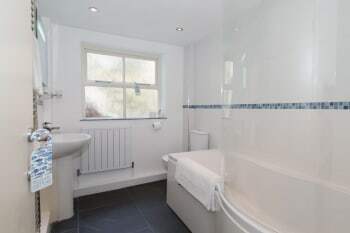 There are 2 king size and 1 double bedrooms and the separate shower room is conveniently located between the rooms. 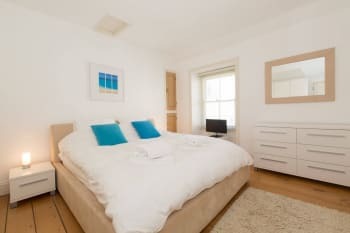 All rooms are equipped with wardrobes, drawers, quality towels, beach towels, bedding and duck down and feather duvets to ensure a comfortable and relaxing stay. 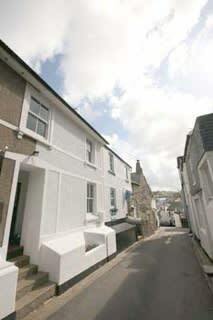 There are no rooms available at Serendipity Cottage for these dates.